THERE'S A PLACE HERE ON THE RIVER WHERE THE WORLD STANDS STILL. 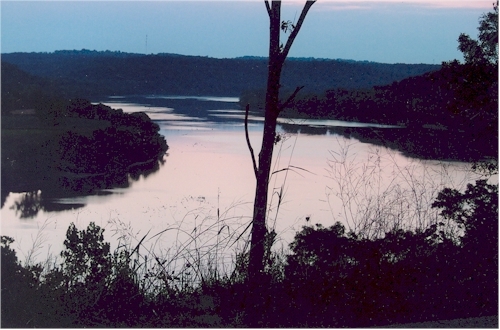 Come Enjoy our QUIET and RELAXING BEAUTY, here on the banks of our Lovely Ohio River, away from the crowds. 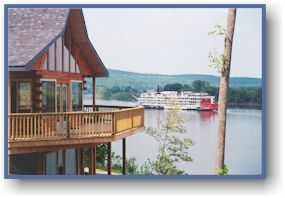 A Romantic Getaway or Family Reunion is just what we ALL need! We have what you want, CLOSE TO HOME! Please call toll Free; 1-877-275-5642. Thanks Sincerely, Bud Colucci. HAPPY NEW YEAR! Click on the above options for more information! 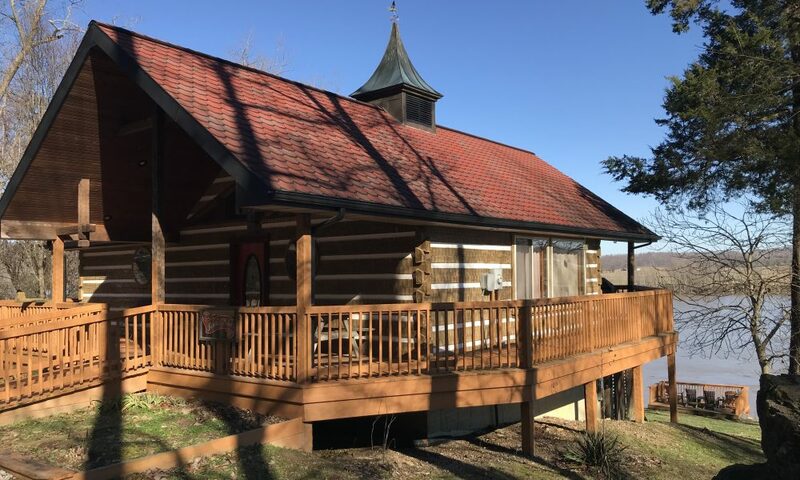 Now’s the time to reserve your 2019 VACATION DATES! Let your GOOD TIMES ROLL with us! 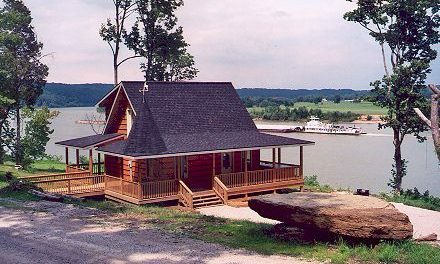 Our cabins are located at the water’s edge on the largest pool of the entire Ohio River System. 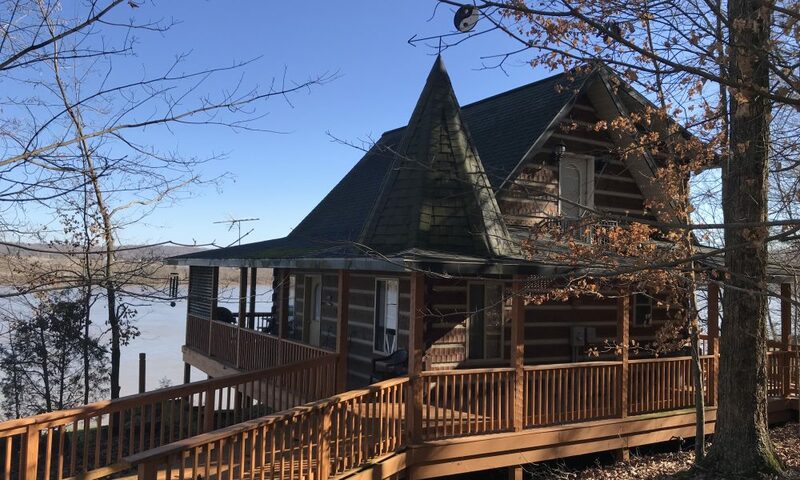 The view of each cabin, the “Castle Colucci“, the “Heron’s Nest“, the “Bonnie Pearl“, the “Yin-Yang“, “Moondance” and “Le Chalet” is to the east overlooking the Ohio River, greeting everyone with a spectacular sunrise and moonrise. Ah. . . Moon River. The scene of Kentucky shoreline is beautiful rolling farmland, with cleared pasture fields gently coming to rest at the rivers edge. Behind the cabins rise magnificent Limestone & Sandstone Cliffs, carved out eons ago by melting ice age glaciers forming this mighty river. 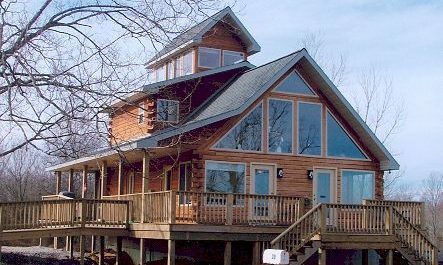 The “Lodge at Buzzard Roost“ right on the water’s edge, is proudly perched upon these same cliffs, affording an eagles eye view of the river stretching for miles into the forest and farmlands. WOW! 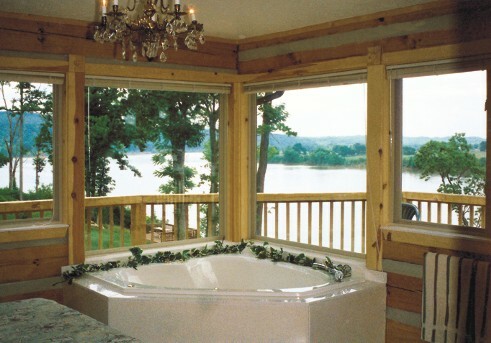 All of our cabins feature hot tubs on covered porches. 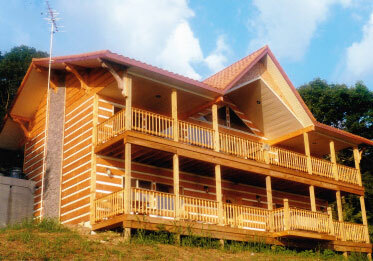 Our guests have said that these cabins have put us “over the top” of anything else around. 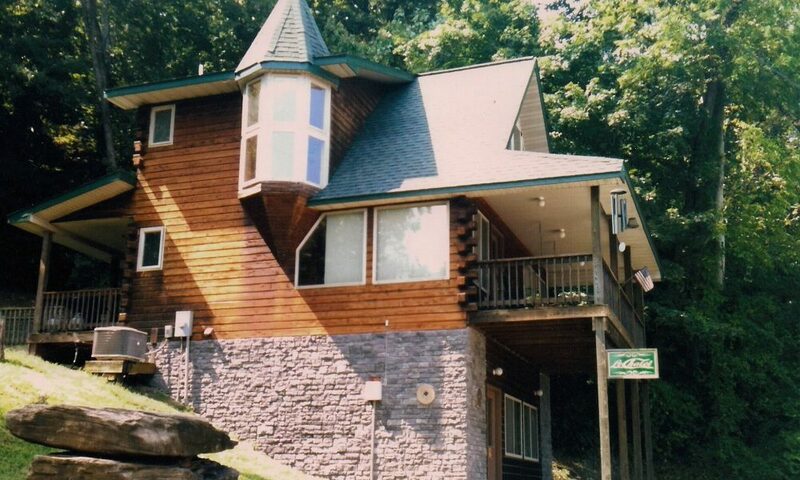 No need to make that long trip to Gatlinburg! Quiet seclusion, exquisite craftsmanship, comfort, comfort comfort! Top line Maytag & Frigidaire appliances, fully equipped kitchens with all the small appliances as well. Livin’ is easy. High efficiency central gas heat and air conditioning for any comfort level winter or summer. 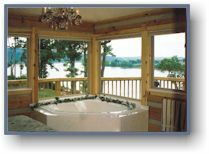 Whether it’s zero outside or 100 degrees, our hot tubs on our covered porches will bubble your cares away! These state of the art hot tubs for four to seven persons are digitally programmed by you in your hot tub to whatever comfort level you like, up to 104 degrees! State of the art ozonators treat the water with ultra violet light for complete disinfecting and elimination of any “cooties” in the water. Ozonators bombard the circulating water with UV light, introducing ozone gas into the water, creating a hypo-allergenic environment for you and your family. Each hot tub is emptied, scrubbed down, filters changed and PH level checked for perfections. (ozone is introduced into the air of hospital operating rooms to kill airborne bacteria). Our hot tubs are a safe and happy place to bring your family. 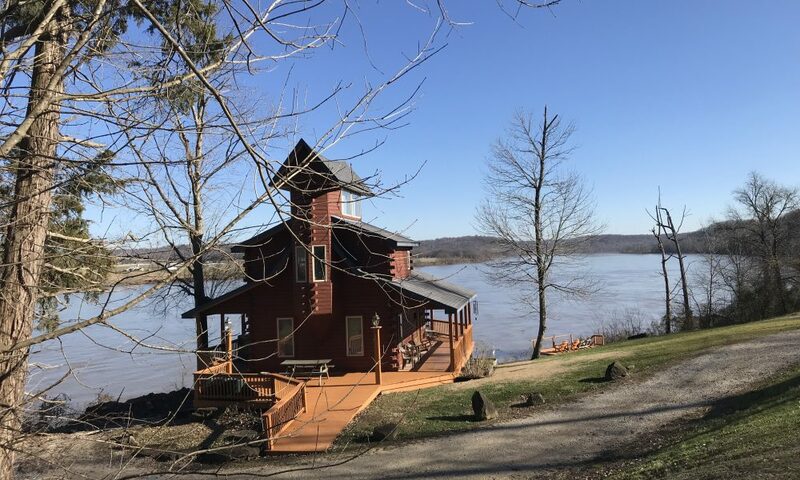 The Cannelton Pool has been called Indiana’s largest “Lake”, stretching 114 miles from the locks and dam at Louisville, KY to the locks and dam at Cannelton, IN. Magnet’s brand new concrete boat ramp is only 900 feet away. With 22,000 surface acres to enjoy, water skiing, pleasure boating and cruising is Fantastic. 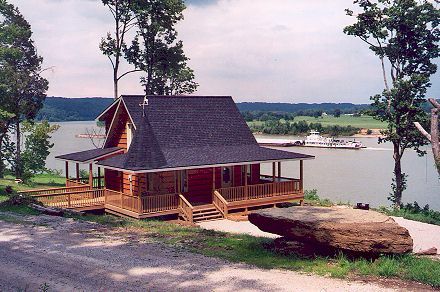 Bass, Bluegill, catfish, striper, and sauger hold great fishing enjoyment for everyone! 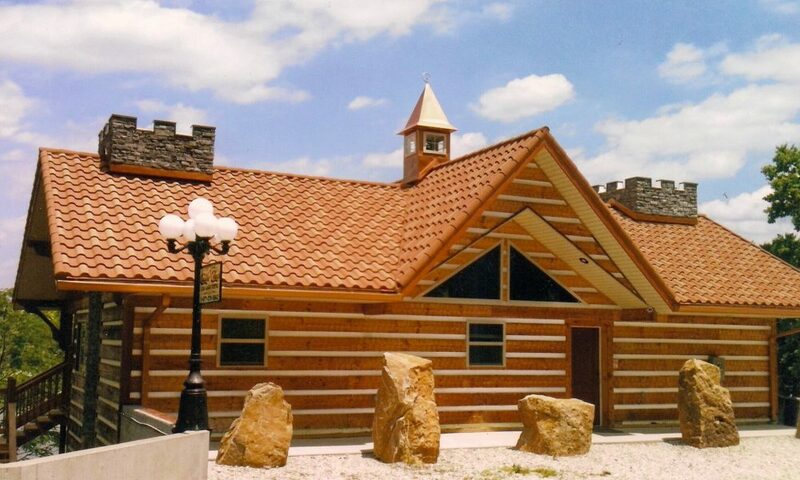 Approximately 14 miles from interstate 64, Magnet, Indiana is a stone’s throw from the Ohio River Scenic By-way, which boasts interesting spots and riverview histories. Please accept our invitation to come and visit us, to come and Rest at the waters edge. . . . . . . . . . . . ENJOY. Call Today and Get a 10% Discount!